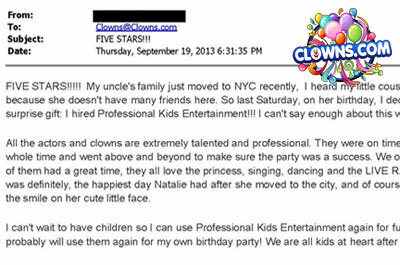 See just how much our customers love us with their testimonials about their events and birthday parties for kids in NYC. 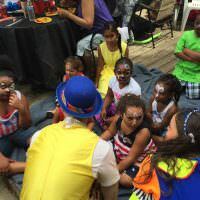 Hear about their experiences with our friendly and engaging children’s performers, our exciting magic shows, and our fun and safe bounce houses. 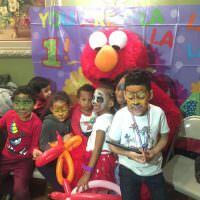 Discover why countless customers say that we have the best kids birthday party entertainment in New York. 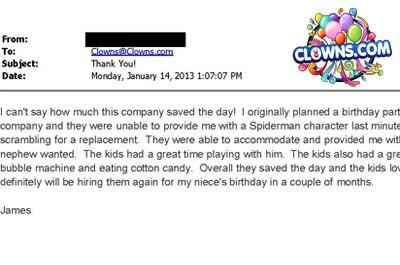 From descriptions of our costumed characters to party songs to friendly clowns, Clowns.com reviews are evidence of our guaranteed customer satisfaction. I just wanted to say thank you! 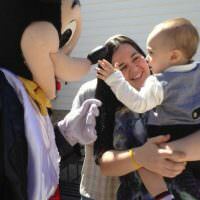 Each and every child & parent had a great time! Bubbles & Bobo were absolutely unbelievable, they were so fantastic, I can’t even put into words how much this day meant to us. My son was recently diagnosed as legally blind. We went back and forth weather or not to cancel the party all together. I am so glad I didn’t. Jeff (my son) said that was the best day ever! I can’t say how much this company saved the day! 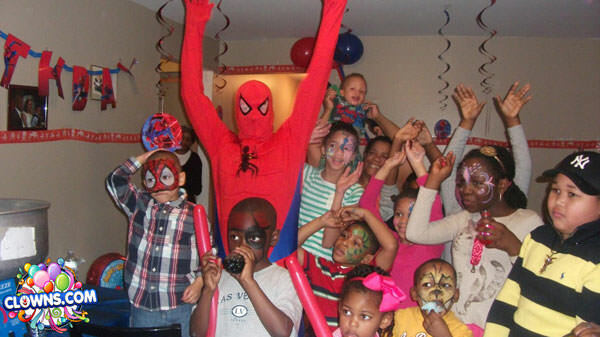 I originally planned a birthday party for my nephew at another company and they were unable to provide me with a Spiderman character last minute which made me scrambling for a replacement. They were able to accommodate and provided me with the Spiderman that my nephew wanted. The kids had a great time playing with him. The kids also had a great time playing with the bubble machine and eating cotton candy. Overall they saved the day and the kids loved every minute of it. I definitely will be hiring them again for my niece’s birthday in a couple of months. 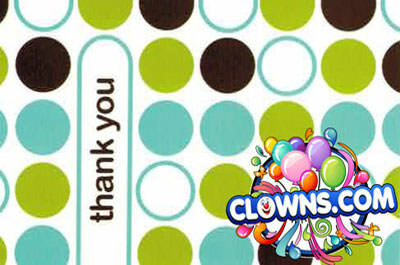 I have used Clowns.com twice and both times they were great. I first used them at my daughter’s baptism, about a year and a half ago. They arrived on-time and the kids loved them. I do have to admit that the female clown was a little loud but it could have been the acoustics in the room. A few people did comment about it though.We just used them again this weekend for my son’s baptism and they were great. They kept the kids entertained and several people asked me for their contact info. 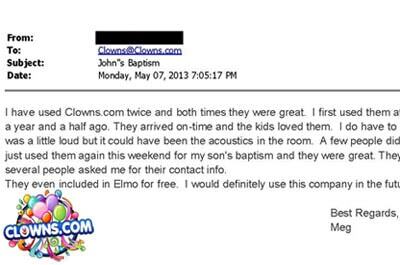 They even included in Elmo for free. I would definitely use this company in the future. 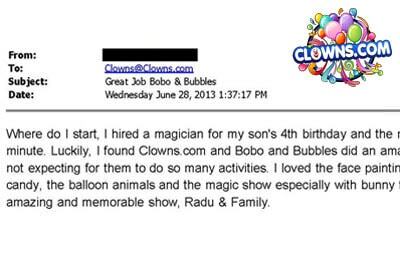 Where do I start, I hired a magician for my son’s 4th birthday and the magician cancelled on me last minute. 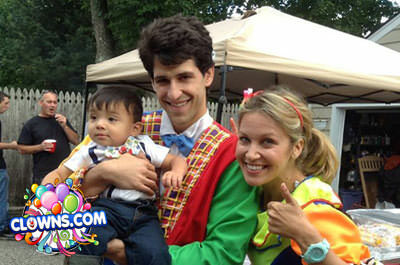 Luckily, I found Clowns.com and Bobo and Bubbles did an amazing show. To be honest, I was not expecting for them to do so many activities. I loved the face painting, the bubbles, the cotton candy, the balloon animals and the magic show especially with bunny fufu. Thank you so much for an amazing and memorable show. 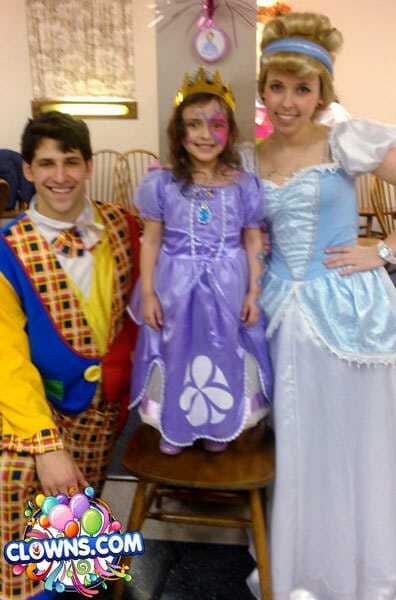 My family and I booked you guys for my daughter’s 3 yr old birthday party. You guys were on time and easy to work with. 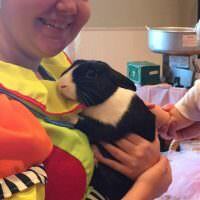 We booked from one day to another, on very short notice and there was no problem at all. 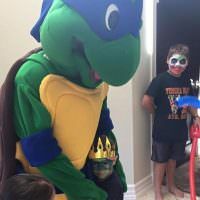 The male and female that came to my home were young adults that were extremely professional and kept everyone in the family entertained. Great show for all ages!! 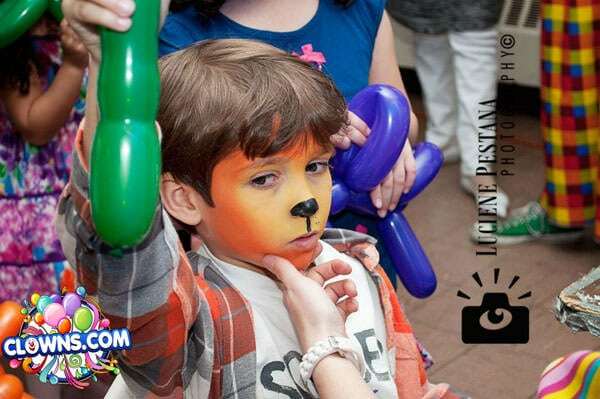 The face painting was superb and the magic show was great! I would definitely recommend them for a party. Spent a bit but absolutely worth every penny! FIVE STARS!!!!! My uncle’s family just moved to NYC recently, I heard my little cousin Natalie is kinda upset because she doesn’t have many friends here. 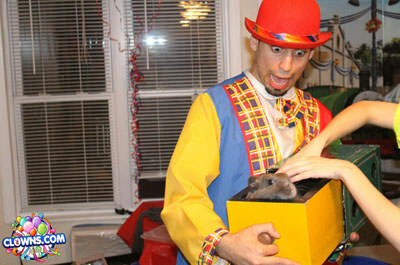 So last Saturday, on her birthday, I decided to give her a big surprise gift: I hired Professional Kids Entertainment!!! I can’t say enough about this wonderful company! 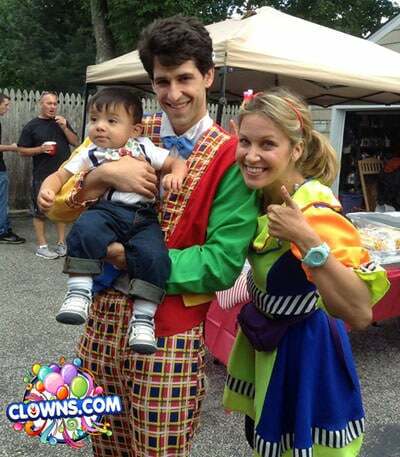 All the actors and clowns are extremely talented and professional. 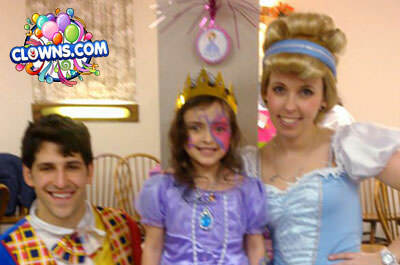 They were on time, stayed in character the whole time and went above and beyond to make sure the party was a success. 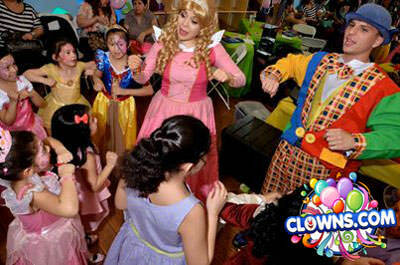 We only had 8 kids and every one of them had a great time, they all love the princess, singing, dancing and the LIVE RABBIT in the magic show!! It was definitely, the happiest day Natalie had after she moved to the city, and of course we are all happy to see the smile on her cute little face. 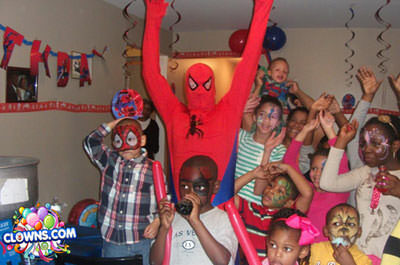 I can’t wait to have children so I can use Professional Kids Entertainment again for future birthday parties. You guys rock.